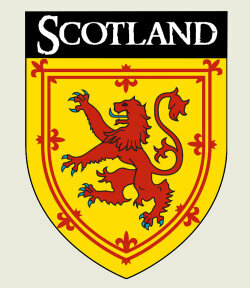 Scotland (Alba in Gaelic) is a nation in northwest Europe and a constituent country of the United Kingdom. It occupies the northern third of the island of Great Britain and shares a land border to the south with England and is bounded by the North Sea on the east and the Atlantic Ocean on the west. Its capital city is Edinburgh. The Kingdom of Scotland was united in 843, by King Kenneth I of Scotland, and is thus one of the oldest still-existing countries in the world. 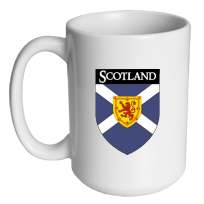 Scotland existed as an independent state until 1 May 1707, when the 1707 Act of Union merged Scotland with the Kingdom of England to create the Kingdom of Great Britain. The flag of Scotland - the Saltire - is thought to be the oldest national flag still in use. The patron saint of Scotland is Saint Andrew, and Saint Andrew's Day is the 30 November. 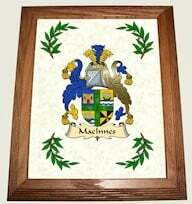 There are currently attempts to create an additional national holiday on this day. Inventors, Scottish by birth or residence, have played prominent parts in such important inventions and discoveries as Watt's steam engine, Macleod with insulin, McAdam's macadam roads, Thomson and Dunlop with the pneumatic tyre, Bell's telephone, Baird's television, Robert Watson-Watt's radar, and James Chalmers' invention of the postage stamp. Alexander Fleming's discovery of penicillin and James Young Simpson's pioneering developments in anaesthesia were two of the most important breakthroughs in modern medicine. John Napier contributed Napier's bones and natural logarithms, Adam Smith helped to create modern economics, and the popular sport of golf is usually regarded as a Scottish invention. Our premium hard coated mugs hold 15 ounces of hot or cold liquid. Whether you're a coffee addict or a hot chocolate lover, our customized mug is an item that makes every kitchen, home or office complete. 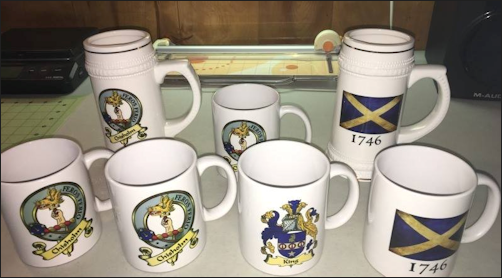 We use vivid sublimation inks to produce no-fade, safe and washable mugs. Beautifully finished with a hard ceramic gloss coating that holds up to the most enthusiastic coffee drinker! 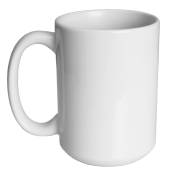 Our premium large mug handle fits snuggly into your hand for trouble free use and enjoyment. Microwave and dishwasher safe!